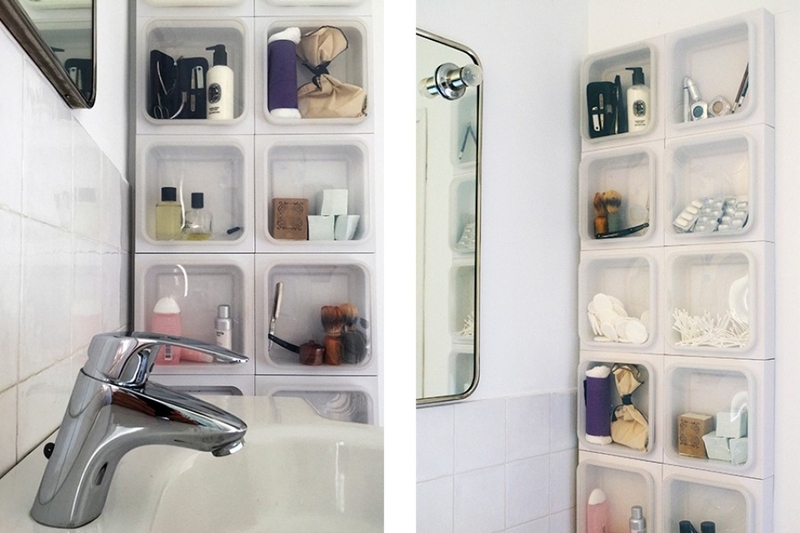 Use the Manual Thinking Box as your bathroom organizer, to keep things beatiful and clean! 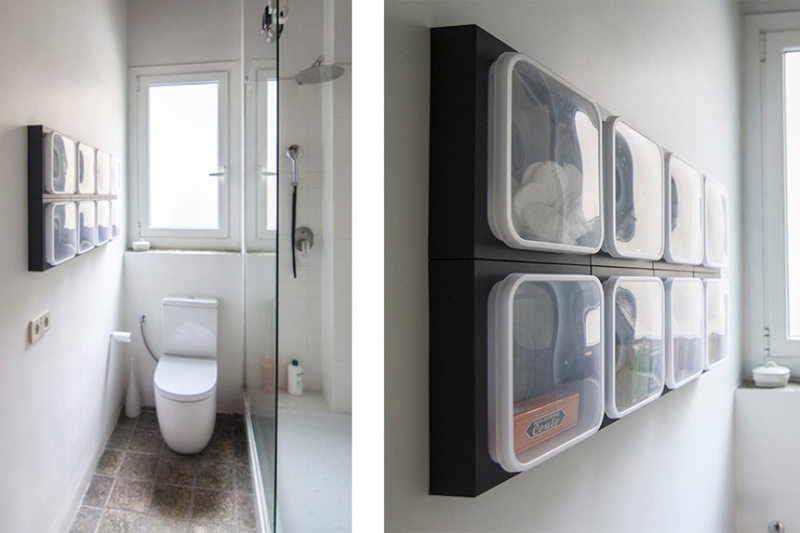 The bathroom is an excellent space to install the Manual Thinking ® Box. Many bottles, tubes and other objects for personal hygiene, beauty and health fill up shelves and drawers where they are difficult to keep clean. 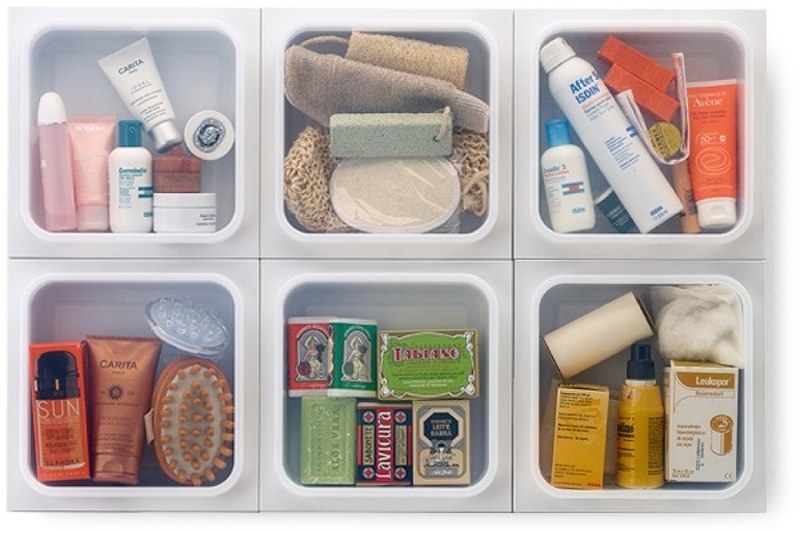 By using the Manual Thinking ® Box as your bathroom organizer you can store all these items in a clean and tidy way. With the included double sided tape, the modules are quickly installed on the bathroom tiles. The grouts of the tiles serve as a great guide for correct placement. 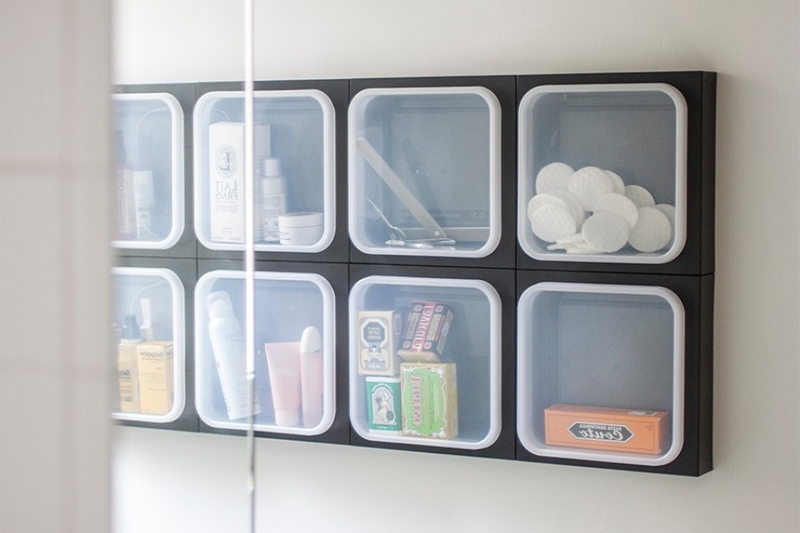 Hygienic and organized, a set of Manual Thinking ® Box also serve very well as a medicine cabinet! 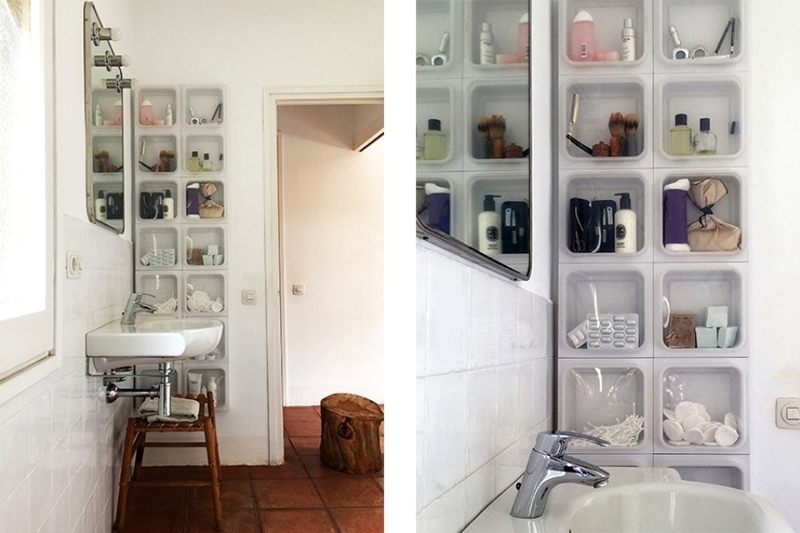 It is no coincidence that the Manual Thinking ® Box serves well as a bathroom organizer, as the product has come to realization in collaboration with Plastisan, a bathroom accesories manufacturer from Barcelona. 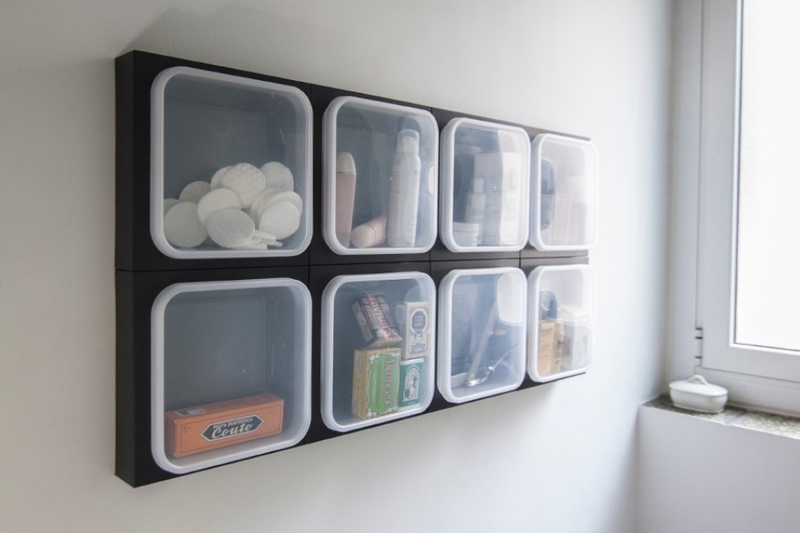 They immediatly recognized its potential as a clean and esthetical storage solution for the bathroom.